Not every fan gets involved at Giants games like the ones we see in the picture above. The New York Giants have won two-of-three home games this year, and they have held a fourth quarter lead in every home game, but that hasn't stopped one couple from falling asleep together during all three home games. 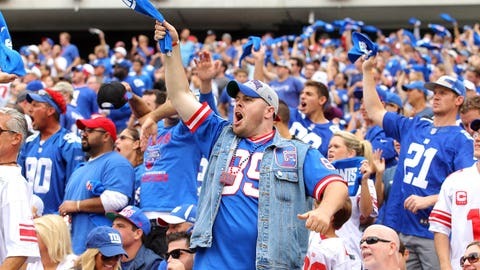 In recent seasons, the Giants crowd has not been known for being one of the NFL's loudest, but this takes things to a new level. Hopefully they awoke for this 12-yard game-winning touchdown catch by Giants tight end Larry Donnell to cap off an 82-yard drive.